What does God know, anyway? Don’t misunderstand this to be skepticism regarding God’s absolute omniscience, as to if God actually possesses infinite knowledge. No, no, no. Rather, this is a question pertaining to the content of His knowledge – what, exactly, specifically, does God know? Whether we know it or not, this very question is fundamental to the great controversy between Christ and Satan; this very question, and how we each answer it (what we believe God knows), will in a great degree determine which side of the controversy we will ultimately align ourselves with. Allow me to explain. Let’s go back to The Beginning – Genesis 3. After all, if this question of God’s knowledge is inseparably linked to the great controversy, then surely we should be able to find supporting evidence in the biblical record of the terrestrial great controversy. In Genesis 3 we find Satan, under the guise of a subtle serpent, raising a question and making bold claims in his attempt (and ultimate success) to lead Eve to transgress God’s command by eating of the forbidden fruit. Initially, Satan raises the question, “Yea, hath God said, Ye shall not eat of every tree of the garden?,” (v.1) testing her knowledge of God’s expressed word. She passes Round 1, so Satan has to kick things up a notch in Round 2. As one reads between the lines, two incredibly important implications are suggested – 1) that God is a liar, and 2) that God is a manipulative control-freak. Essentially, what Satan says is, “God may have said (blah, blah, blah), but all of that was just make-believe to keep you from the real truth (God is a liar. God’s word cannot be trusted). And why would He lie to you? Because GOD KNOWS that if you eat this fruit you will become gods like Him, and that’s the last thing He wants. So He made you think that He was protecting you from death, while in actuality He was feeding you lies in order to restrict your advancement and oppress you with His law (not only can God’s word not be trusted, but God Himself cannot be trusted – His words, His actions, His intentions). Satan proposes to Eve that God has withheld inside information that would highly benefit her and be very inconvenient for Himself; that He keeps secrets, and not just any random secrets, but secrets that are the very keys to Eve unlocking and maximizing her fullest divine potential, freedom, and prosperity. Under the weight of these devilish assertions the solid bedrock of Eve’s theology began to shake and crumble in her mind. And in the midst of her confusion, as she is trying to process it all and trying to figure out who she should believe, the slick Serpent slides right in. Satan presents himself as her personal lightbearer, the one who really tells the truth, and the one loves her enough to share the inside info so that she can become all that God never intended for her to be (oh, the ungodly irony!). This is Satan’s side of the argument, an argument that implies and accuses God of lies, manipulation, and oppression. And this argument was evidently quite compelling considering Eve, a being with absolutely no inclination toward sin or doubt, would by it be deceived and lead to willfully disobey God. Now it’s time for a counter-argument, and for this God shall speak for Himself. Our next text takes us to Jeremiah 29. In the context of the chapter, Jeremiah has addressed a letter “to all the people” (v.1) taken captive by Nebuchadnezzar, King of Babylon. In this letter, God needs to personally clear away any confusion regarding Israel’s captivity. Apparently, based on verses 8 and 9, God’s prophets (messengers, spokespersons) had grown quite discontented with their circumstances as captives, and thus had taken the liberty of calling the Israelites, in the name of the Lord, to defy Babylonian authority and prepare for imminent divine deliverance. These prophets of God had falsely prophesied (saying that God had given them a message that He had never actually given). Therefore, God is forced to speak up for Himself, clearing the air of any confusion, and calling Israel to settle down, get comfortable, go on with life, and live as peaceful citizens of Babylon because they are going to be there for a while. With this scenario in mind, which prophet would you believe? There’s no question as to who you would want to believe. But who would you believe? Even if you did decide to believe God’s message through Jeremiah, it would seem natural to want to question God’s purposes, right? How could God be content to leave Jerusalem (His beloved city) and its temple (His own house) desolate and leave His supposedly treasured people captive for any length of time, let alone for seventy, long years? “Does God really know what He is doing up there? Does He really care about us after all? I thought He wanted the best for us, the best for me, and yet His ‘awesome’ plan is to leave us to die as slaves in Babylon? I don’t get it, this doesn’t make sense. Doesn’t sound like a God of love to me…” (Reintroducing Satan’s implication: can God Himself actually be trusted – His words, His actions, His intentions? Does God have some dirty, little secret that He is withholding, just to oppress you for His own benefit?) Thank God for the upcoming punchline! Check this out! God, KNOWING just how disheartening and perplexing this message would be, KNOWING that Satan would use this as a prime opportunity to sweep in and use his insidious insinuations to disperse doubt and unbelief, encourages them with this thought – “I know.” Emphatically, God reminds His people that even though they may not know His purposes and plans, He definitely does KNOW His own thoughts, purposes, and plans toward them. And then He reassures them that those plans are plans with their greatest peace in mind, plans not of evil (super important reminder), that He has everything under control, that He will still care for them, and that they have a sure hope of restoration. I KNOW, God says. Beautiful promise! From these two texts, Genesis 3:5 and Jeremiah 29:11, we see examples of Satan stating what God knows and then God stating what He Himself knows. Satan insinuates that God knows the truth regarding our prosperity, and keeps it a secret for our loss and His gain. God reminds us that He knows the truth regarding our prosperity and reassures us that we have great hope despite not understanding it all. So, again, we raise the question, “what does God know, anyway?” More importantly, what do you believe God knows? What you believe God knows will, like it did for Eve, greatly influence your faith in God’s word and your willingness to lovingly obey Him. After all, if you doubt that God’s law is a “law of liberty” but instead is a law of oppression, then your ability to render obedience as a fruit of love (Jn. 14:15) will be greatly impaired if not altogether destroyed. They say it’s not what you know but who you know. And this is definitely true of the gospel. Notice that Satan, upon Eve replying to his question with a recital of God’s command and consequence, didn’t ever even attempt to dispute God’s Word, whether He actually said what Eve claimed He said. Satan wastes absolutely no time on this. Rather, he focuses solely on bringing the truthfulness of God’s Word and the purity of His love into question and contempt. 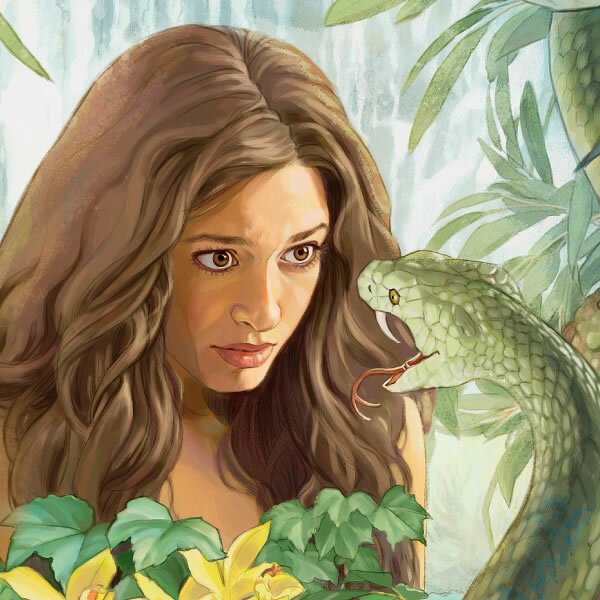 The subtle Serpent masterfully manipulated Eve’s theology, what she knew about God’s character, NOT what she knew about God’s Word. Remember, it’s not what you know, but who you know. You see, friend, you, like Eve, may very well know the Word of God. But Satan isn’t one bit scared or deterred by this. You may know all the events, characters, and doctrines from Genesis to Revelation. But even if you had the whole thing memorized from cover to cover, the issue at hand isn’t what you know but Who you know. If you know all the “what” but you don’t actually know the “Who,” there’s a problem. If you know what God has said verbatim but you don’t actually have an intimate, experiential knowledge of God Himself, you’re in danger. If you don’t fully know that God is indeed true, and that God is ever and always a God of love, then all the “what” that you know will be as good if you never knew any of it at all. For Eve, knowing the truth without truly knowing the One named “Truth” was not enough to keep her full of faith and faithful. And for us it won’t be enough either. From a Roman jail cell to his beloved young successor, the apostle Paul writes to Timothy the following words of encouragement, strength, and purpose amid foreboding circumstances and a threatening future. “For the which cause (his calling, and the gospel’s sake) I also suffer these things: nevertheless I am not ashamed: FOR I KNOW WHOM I HAVE BELIEVED, and am persuaded that He is able to keep that which I have committed unto Him against that day” (2 Timothy 1:12). Don’t miss this! Because Paul was absolutely sure of not only what he knew but WHO he knew, he was thus enabled to commit his temporal life to God’s call. He endured relentless persecution, suffering, and even death, and yet through it all he still had a peace that “passeth all understanding.” How? Because he was sure of Who he knew. And by being sure of Who he knew, Paul was also sure that God was able and faithful to keep his eternal life secure until the day of Jesus Christ. Friend, you may not have all the answers that you wish you had, but as long as you know that God knows His good plans for you, you don’t need to know in order to have the peace and hope that your soul beckons for. May you take God’s promise and God Himself to be your very own today. May you come to know Him and to love Him for the good God that He is. May your soul be at rest in the Omniscient. 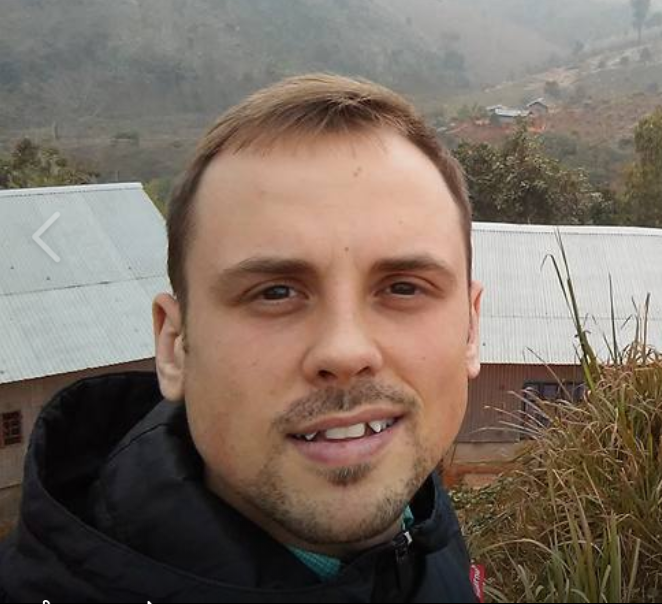 Evan is a Medical Missionary who lives in Greeneville, TN.